In the last years, escape games have been a very important part of my life. 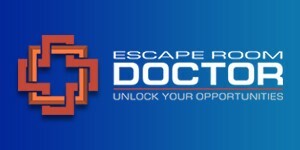 A fun game played by chance in Budapest became my business, and now having reached the milestone of having designed over 250 rooms in 54 countries, I would like to share my opinion of some do’s and don’ts in escape game design. 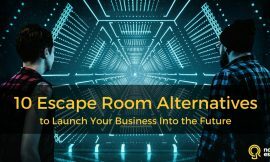 I have seen the escape game business change drastically – from homemade joints in garages made with grandma’s furniture to serious businesses that invested and made back hundreds of thousands dollars. Two things to remember: This is a business, AND this is a game. Most new investors in these ventures tend to forget this, and the experience is technically flawless but emotionally sterile. Of course you want a profit, but never forget that people want to be challenged and entertained; look at your business as a way to keep escape games alive and to spread the concept, as it is still very niche. Yes, I am aware there was a reality show. And in the past, [there have been] a few shows, like Fort Boyard, movies, [such as] The Cube and Saw, and features in the U.S. [like] popular serials and talk shows. Nevertheless, every time I mention escape games, people have no idea what I’m talking about. Now cutting short my already too long intro let’s get to the juice.
. . . are always underrated. DO have a great soundtrack tailored to the theme and lights to enhance your decor. DON’T invest in an expensive audio setup or lights and expensive soundproofing. Have people dressed as pirates and aliens give out fliers and contact firms, teams, and clubs. [Stage] stunts and invite bloggers, TV, and radio stations. Make it a date escape or hide Easter eggs. Let players dress up and take a lot of pictures posing with theme-related gadgets. Watermark [your] pictures instead of the lame picture with the logo printout in the background. Engage in social media; post riddles. Buy mobile escape games to [take] to parties, events, and corporate team building [exercises]. DON’T invest too much in websites, promotional videos, most paid advertisements (I do advise well-targeted Facebook and Google ads and reliable firms), and signs (it’s not a walk-in business). DO work with an established and reliable firm, unless you are really handy or crafty and have great logic and creative skills. DON’T get scammed or lose money! We often get called by people who either tried a DIY operation or found a cheap firm that [did] a cheap job just for us to fix it. 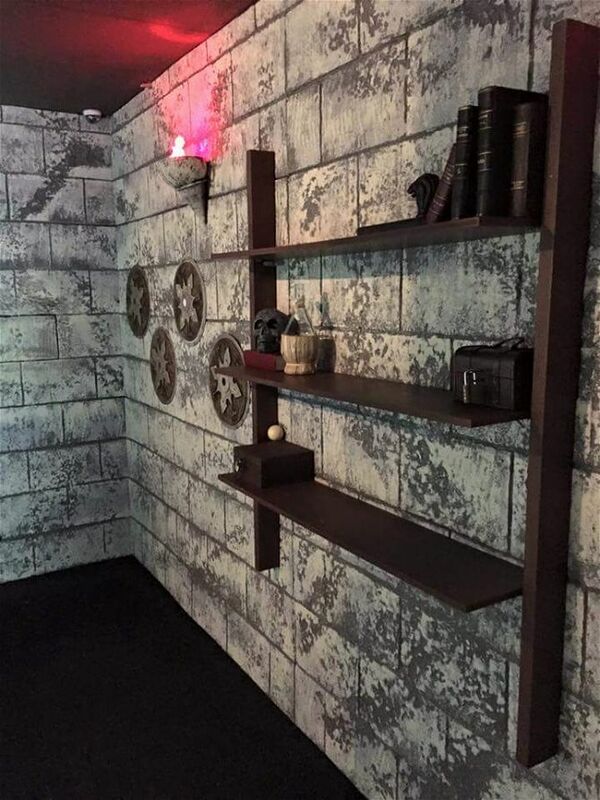 Secret room preview; can’t name what room. DO have a good one liner story. Make sure the gameplay follows the story. People want to play full stop. They want to hear a one-minute intro and get in the room. U.S. customers are obsessed with stories. Do you remember when you were in school, and just before a fun activity, a teacher would give you a lecture about it? Just keep that memory in mind . 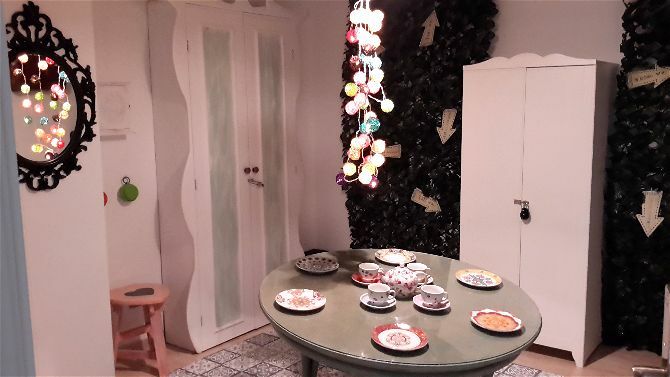 . .
DO build visually pleasing rooms, find second-hand furniture, have high-quality decorations, [hire] local artists, and make everyone’s jaw drop in amazement. DON’T buy valuable furniture or objects that will get destroyed, overdecorate with items that are unnecessary and confusing, or buy props from unreliable firms (they rarely work). Players ask for a clue by pressing a button. Once they do this, a light goes on in the control room and in the game room for 10 minutes. This paces the game so all clues are not used at once. Hints are delivered as pictures of what to logically connect in the game. DON’T give the solution, give vocal clues unless crystal clear, enter the room, or give hints without being asked. DO open escape games when and where there is competition. In Europe, some cities have up to 140 games! And the best businesses still make lots of money. DON’T think that competition is bad. Once players are through your games they’ll never come back. More businesses also do marketing, [which] benefits you, too. P.S. In Europe and most of the world, all bookings are private, while in the United States, most bookings are open, so strangers play together. P.P.S. Prices of games vary a lot country to country. Averages per-person, per-hour (in USD): Eastern Europe, Latin America, and Africa: $12, Western Europe: $20, USA: $25. 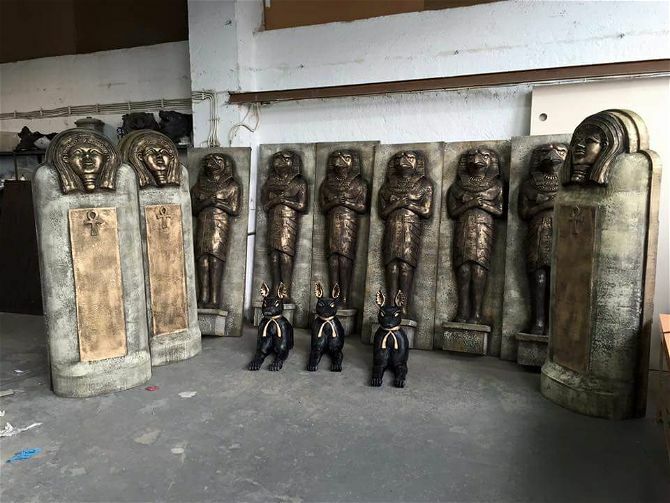 Statues installed in Tutankhamun’s tomb have lasers and other sensors embedded in them. DO look into new technical developments and items even just for a wow effect. 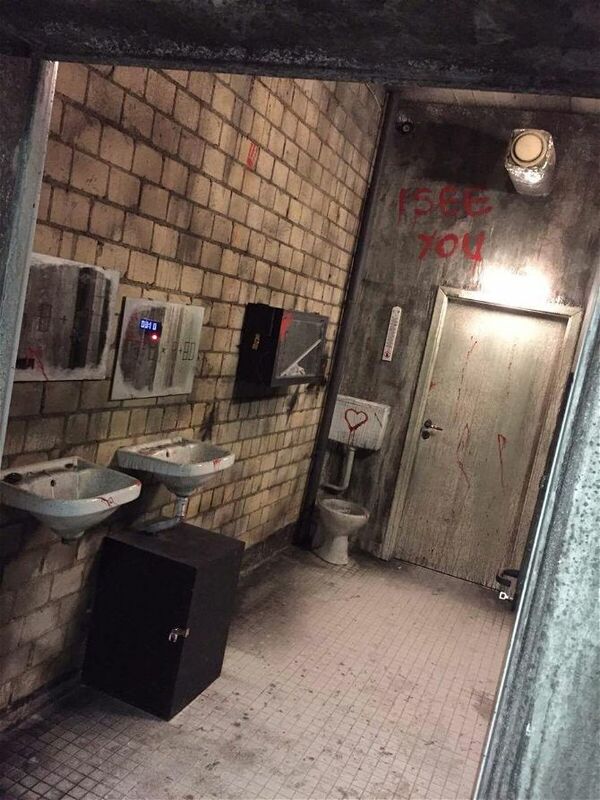 Virtual reality escape games are popping up, but it’s a totally different experience. Remember, it’s a game where people with different intelligences play. Have a balance of tech, traditional (even padlocks), fun, and skills. And never forget, it’s logic and a smooth flow that keeps it all together. DO consider smoke or bubble machines and sound and smell effects so players are fully immersed in the theme. DO have a reception area that is complementary to the games and give players clothing and accessories to wear and use (the line between cool and lame is very thin here). DON’T leave windows [exposed] so players can see outside (it spoils the effect), leave the walls plain white, or reuse the same props for a new theme in the same location. If you’re first in the market, go classic: Sherlock Holmes, pirates, Medieval, mad scientist, black & white, bank heist, prison escape, stop the bomb, zombies . . . If you’re last in the market, be innovative. If your city has legends and myths or is historically important, these can all be ideas for new, original, and cool themes. Or ask us to make new ones: catacombs, ancient civilizations, escape the cave, rock ’n’ roll, a more sensual one with a Webcam to challenge the game master, a sports one in a locker room, an educational one for kids, and a million others. This is the most important for all the industry. DON’T copy what you see. You see three hints; you do three hints. You see one-hour games; you do one-hour games. You see x number of people; you do x number of people. You see x size room; you make x size room. You see a popular theme; you copy it. Stun them with new concepts. Forget the rules and all you played before. This is the only way we will all be moving forward. 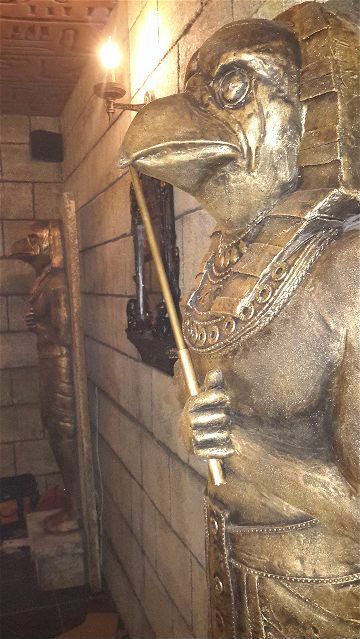 Without evolution and people who dare to change the rules, there is no future for escape rooms. More space in rooms for a maze or some crawling, climbing etc. A room entrance that is a slide. Outdoor escape: We design games in tents to bring around festivals, concerts, parks, and private gardens, and also to conference rooms or shopping malls. 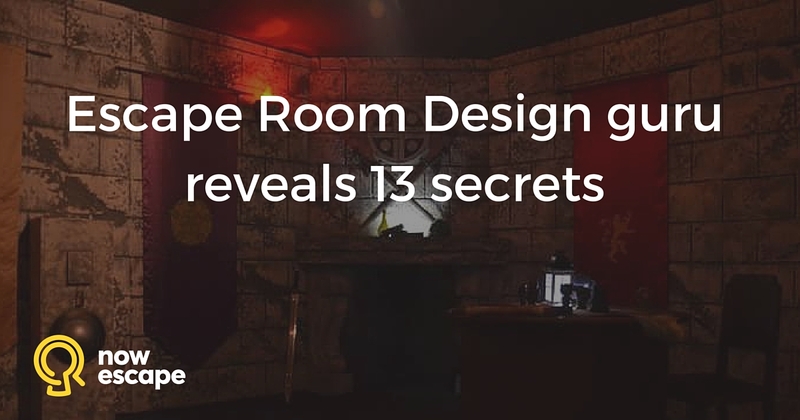 And something new we want to develop – secrets 12 and 13. The market went from 17% of our clients in 2015 to 75% now. This means that the time to invest is NOW. Every day we are getting requests for quotes. If you see a gap in the market don’t wait too long, it’s your chance. Daniele Colombo is an Italian and Irish citizen living in Bucharest. He started his first business at age 23 with the first X Hostel in Varna, Bulgaria. Over the next few years he and his partners opened seven hostels in Europe. CNN listed X Hostel in the top 10 party hostels worldwide. The hostel was so popular, 240 people had the brand’s X logo permanently tattooed on their bodies. 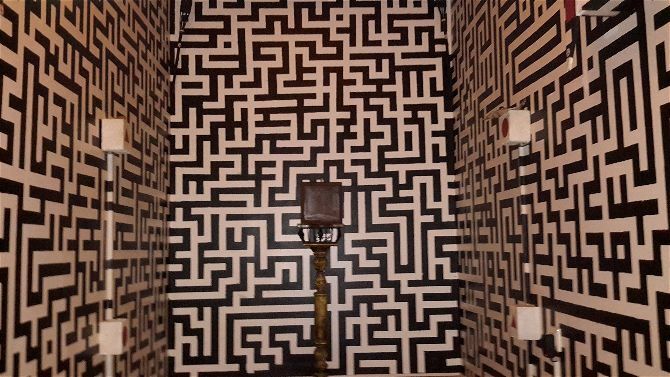 In 2014, after playing his first escape game in Budapest, Daniele decided to open two games in his hostel. After a huge success and the great popularity of the rooms, he expanded to other cities. Later, his business evolved, and his main focus today is designing games for 3rd parties. 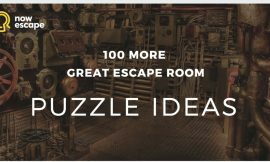 Currently, Daniele owns the Escape the Room Design firm that has sold and implemented the greatest number of games worldwide with the widest range of themes. 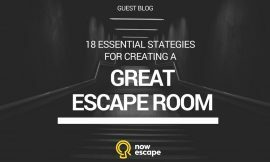 For more escape rooms designers browse our Escape Room Resources Directory.